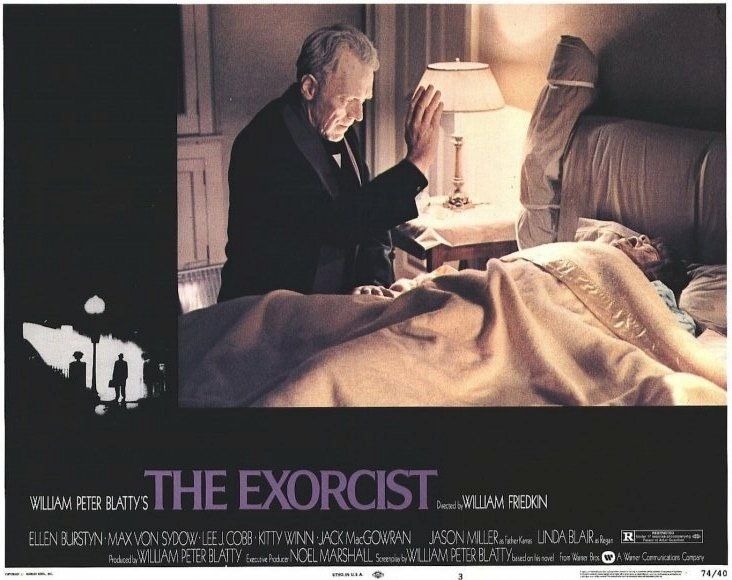 When The Exorcist was released in 1973, it changed the face of the horror genre forever. Hordes of fans from around the world watched in terror – a new kind of terror in which they had not experienced before. There were reports of people having to leave the theater midway through the film, no one had seen or heard such paranormal atrocities before. And it is true that to this day, with so many other horror movies that have come and gone, The Exorcist remains so unforgiving to its audience in its spectacular delivery. The plot of the film comes from William Peter Blatty’s fiction novel by the same name published in 1971. But what many do not know is that Blatty’s tale was pulled from non-fiction sources, making the story all the more frightening. Blatty references an article published by Daniel Dunglas Home for Proceedings of the Society for Psychical Research, Vol. 114 where Home focuses on “an unnamed fraudulent Spiritualist medium who had studied to be a Jesuit priest.” Washington, D.C. based freelance journalist Mark Opsasnick, whose focuses include the in-explainable, wrote an article titled “The Haunted Boy of Cottage City: The Cold Hard Facts behind the Story that Inspired The Exorcist” in Strange Magazine (Number 20, December 1998). In it, he describes a boy with the pseudonym Robbie Mannheim and Roland Doe. To read entire news article, click here. 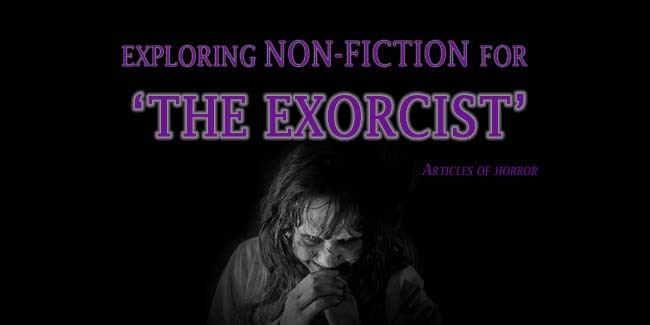 But of all the non-fiction sources that can be found relating the story of a possessed child who undergoes an official exorcism, it is the work of Thomas B. Allen, an American author, historian and contributor to The National Geographic, who fills in the gaps of a story that has, for decades, captured a skeptic nation. 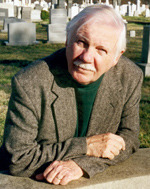 “Possessed”, Allen’s most popular non-fiction work, was published in 1993 and is novel length. It reads almost like a work of fiction, and does not include unnecessary detail. Allen lays out bone-chilling events, citing sources, explaining upfront whether they are re-traceable or not, and takes the curious on a dark ride as the boy named Robbie fights for his life against a demonic overtaking. Robbie is only thirteen years old when his story begins, living in a cramped house in Mt. Rainier, Maryland along with his parents, a grandmother and his often-visiting Aunt Harriet, who it turns out, is a spiritualist. Having no siblings or other children to play with, Robbie and his Aunt Harriet have formed a friendship in which they play board games, one of them being the Ouija board. 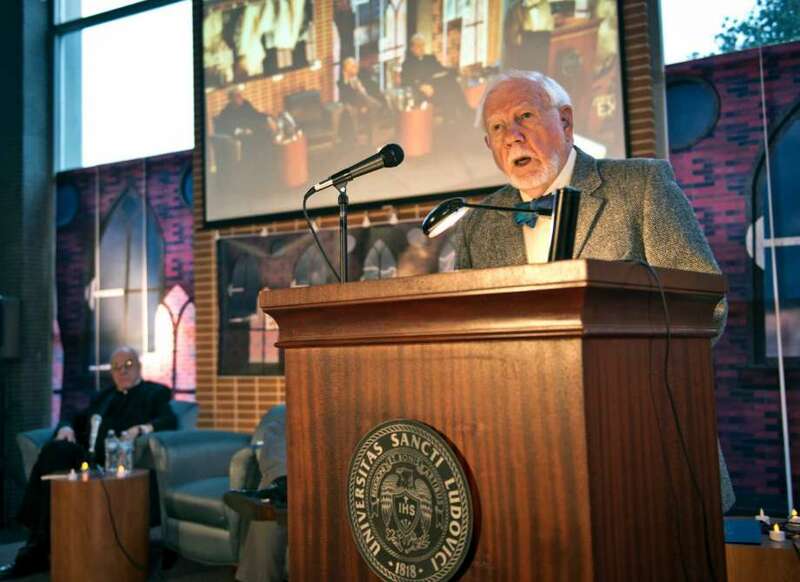 He was born in 1935 during the Great Depression to parents Karl Mannheim (who worked for the federal government) and mother Phyllis Mannheim. The first recorded paranormal activity begins on a Saturday, January 15, 1949. While Robbie and his grandmother are home alone, the old woman hears a distinct dripping sound. When it doesn’t cease, she and Robbie begin to search for the source, of which they were never able to find. That same evening in the grandmother’s bedroom, the sound of claws scratching against wooden floorboards came seemingly from under her bed. It only stopped after everyone had gone to sleep. For the next several nights, the scratching sound would start around seven p.m. and continue until midnight. No one thought much of it other than perhaps some rodent had wandered inside the residence. Only Robbie’s grandmother believed that Aunt Harriet’s spiritual practices might have something to do with the disturbances. “Seance” means entire body is taken over by spirit; “Ouija” only the fingers and hands. Eleven days would pass since the first scratching sounds were heard before Robbie’s dear Aunt Harriet would pass away in St. Louis. It is said that Robbie was absolutely devastated by his aunt’s passing that he took to playing the Ouija board by himself, perhaps hoping to feel closer to the friend that was no longer with him. He would spend hours with the board, using the planchette to ask questions and wait patiently for answers. It is around this time that the scratching noises stopped in the grandmother’s room and different “squeaking” noises began in Robbie’s room. These strange sounds lasted for three weeks. What is interesting is that in the book, Allen writes that paranormal events were not confined to only Robbie’s home, but that strange and physical occurrences followed the boy into school and that Robbie’s desk would shake and slide around the classroom floor, much like a planchette on an Ouija board. The violence did not stop there, a bible rose and landed at Robbie’s feet, a kitchen table tipped over, clothes were found scattered on the kitchen floor and there is even an account of Robbie’s visiting relatives witnessing a large chair (with Robbie in it) rise and flip over while a nearby vase flew across the room, shattering against a wall. The boy only weighed a slight ninety-five pounds, and many were convinced that many of the more strenuous physical phenomena were impossible for his build. To visit source website, click here. 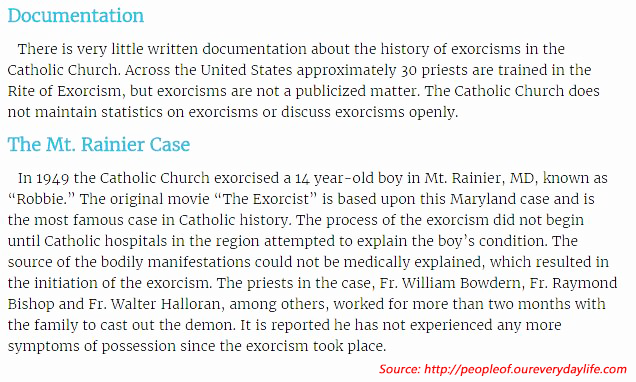 While there is ongoing debate as to the factual nature of Robert Mannheim’s unimaginable ordeal, his exorcism will go down in history as one of the most well documented cases ever made in North America and the world. The Hollywood version is quite condensed. In non-fiction accounts, Robbie’s exorcism lasted two long months. 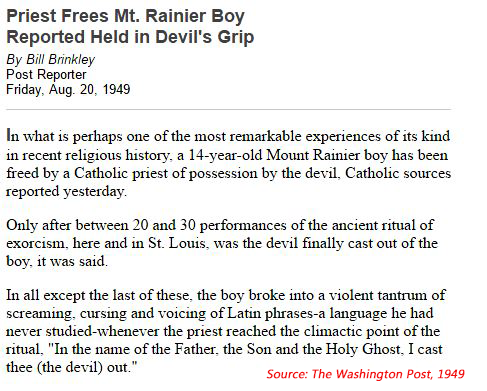 His story, though first revealed some seventy years ago, still captures our attention and new content for a younger generation brings fresh perspectives to the exorcism of Robert Mannheim. For those interested, read Allen’s Possessed while keeping an open mind, a shred of doubt, empathy for all those involved, and most importantly, with the lights on. Allen, Thomas B. Possessed: The True Story of an Exorcism. New York: Doubleday, 1993. Print. Smoke and Mirrors: Cemetery Dance Publications. (n.d.). Retrieved from http://www.cemeterydance.com/smoke-and-mirrors.html?